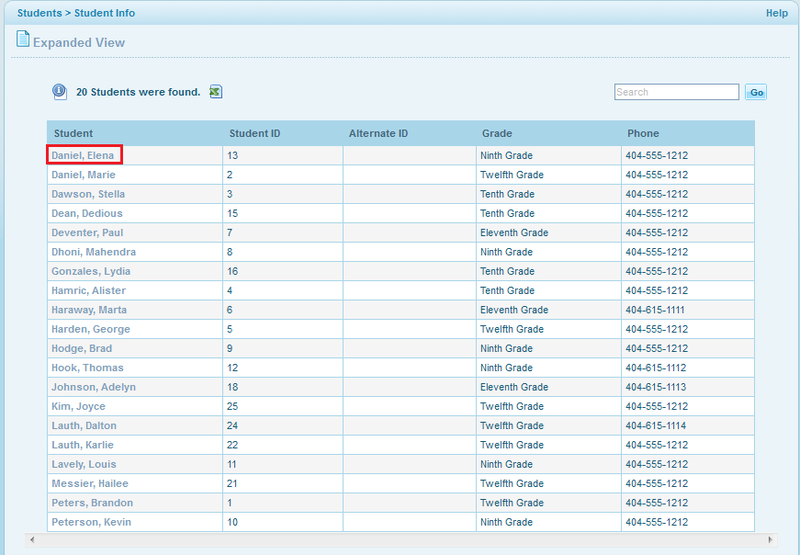 Administrator captures all the information of the students when a student is added in the school and the teacher can view the associated student's information from their portal access under the feature Students >> Student Info. A student search screen opens up. 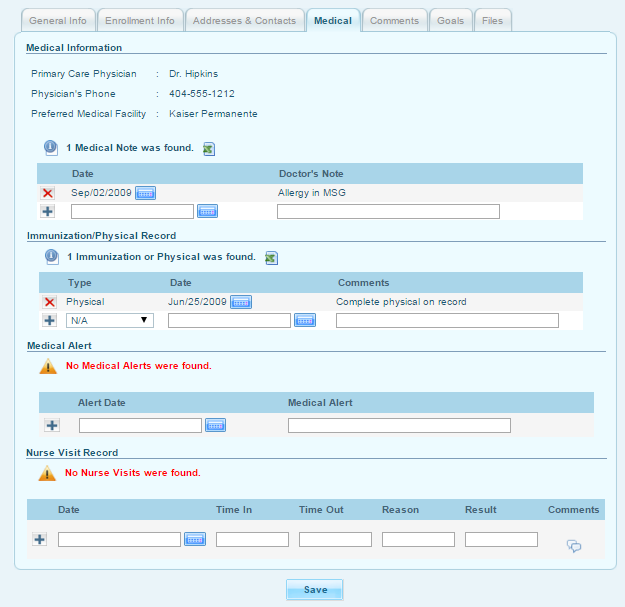 Fill in the required search criteria or click on Submit with blank criteria.